Guess where I went on vacation recently? This entry was posted in 2014, Communing with Nature, Garden plants, International, Ornamental Plants, Perennial plants, Photography and tagged gardening, nature, photography, Wordless Wednesday by missinghenrymitchell. Bookmark the permalink. I love that picture, the detail on the flower is great and I love how you put together the shot. 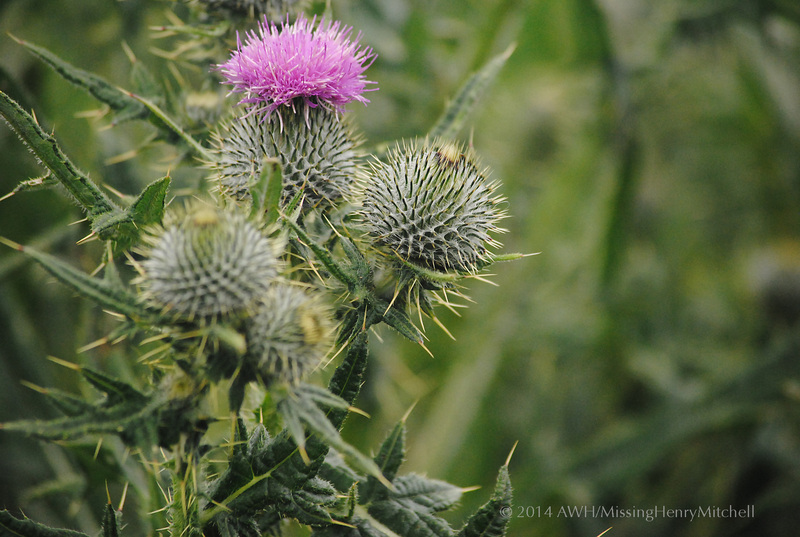 Thistles are a favorite of mine and I was just putting together a little post on some of my prickly plants…. not very child friendly though! Thanks for your kind comments; I love thistles, too. I agree they’re not particularly friendly to children–or anyone, for that matter. But what wonderful texture they provide.